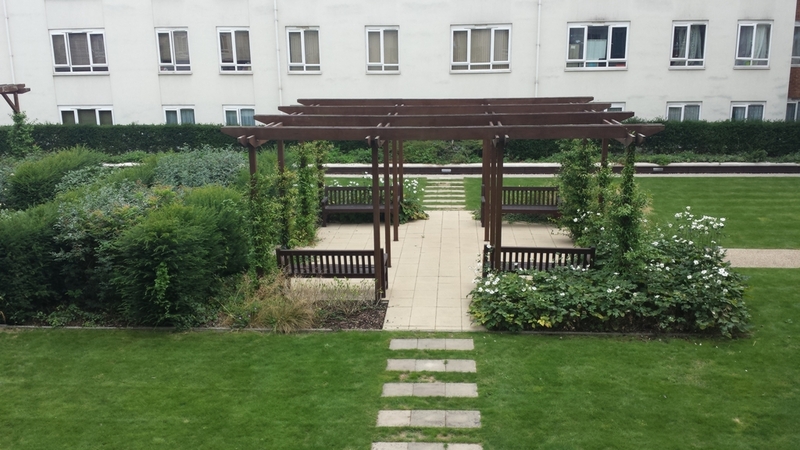 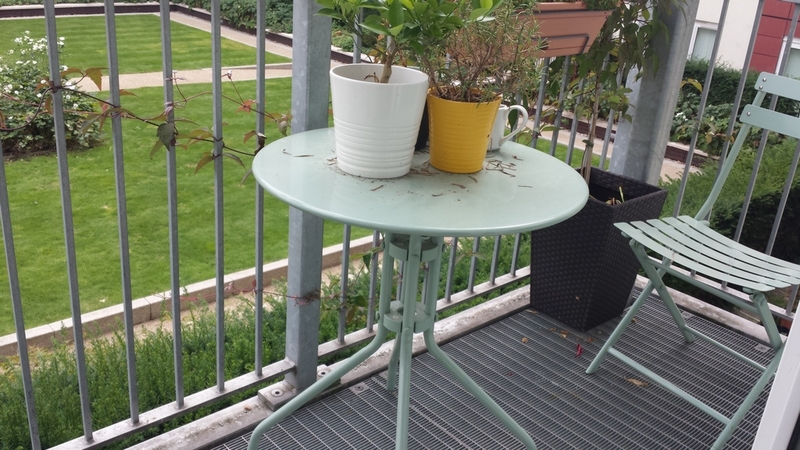 A spacious and bright studio flat with separate bathroom, a fitted open plan kitchen , wood flooring and own private balcony overlooking communal gardens. 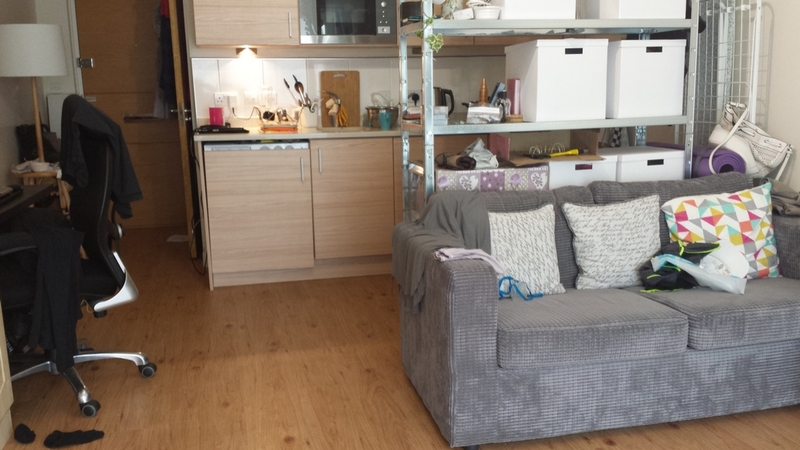 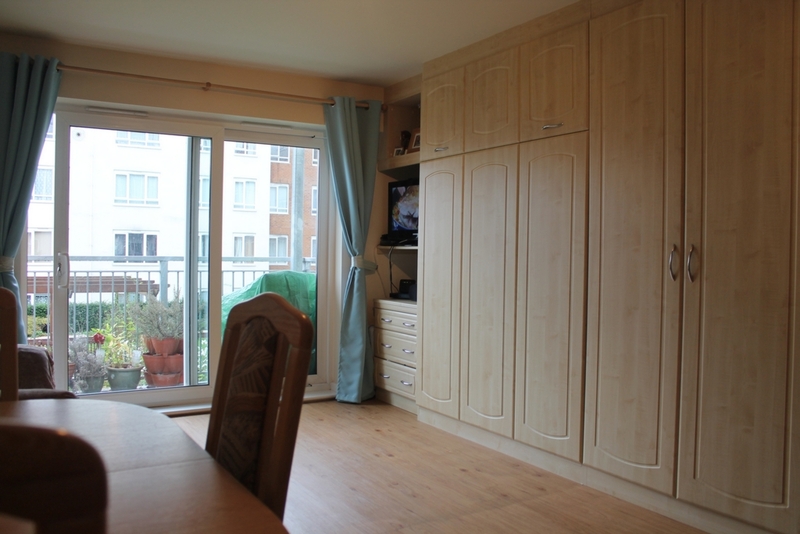 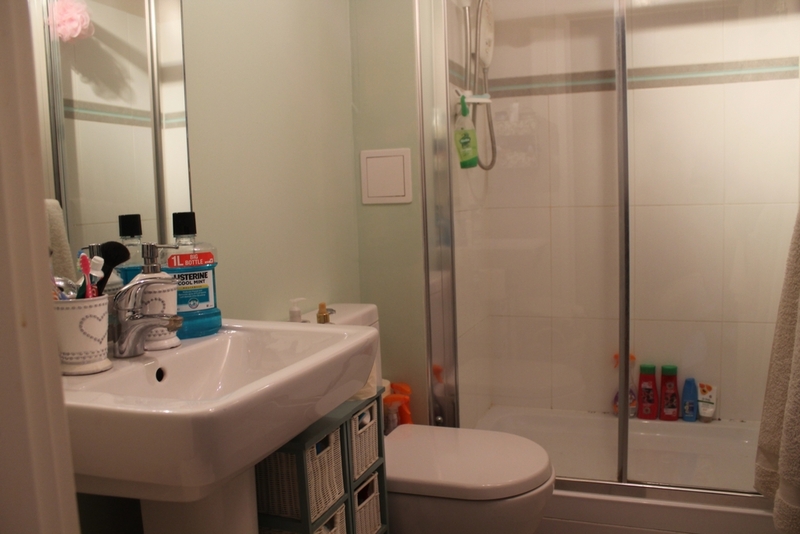 The owner has cleverly added a built in bed/wardrobe to maximise use of the space and the flat is in excellent condition. 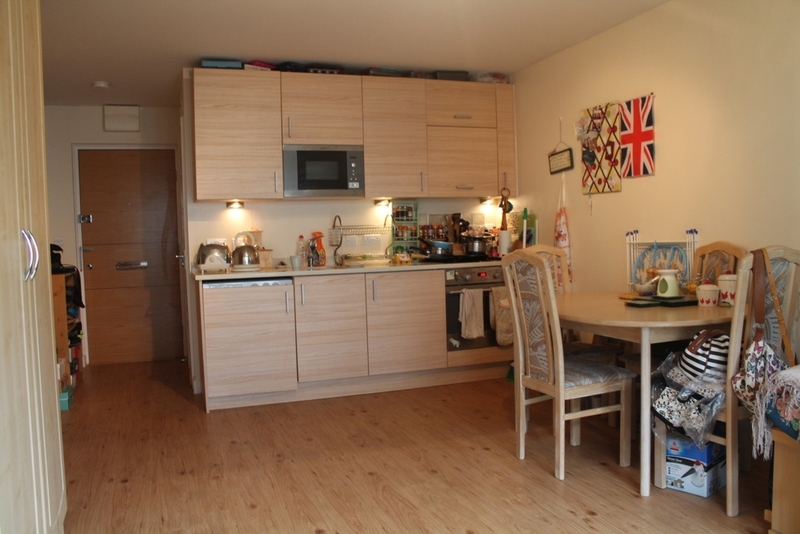 The flat comes with its own parking space ,free gym membership and is available from Septembert.